Meet the Dream Team. 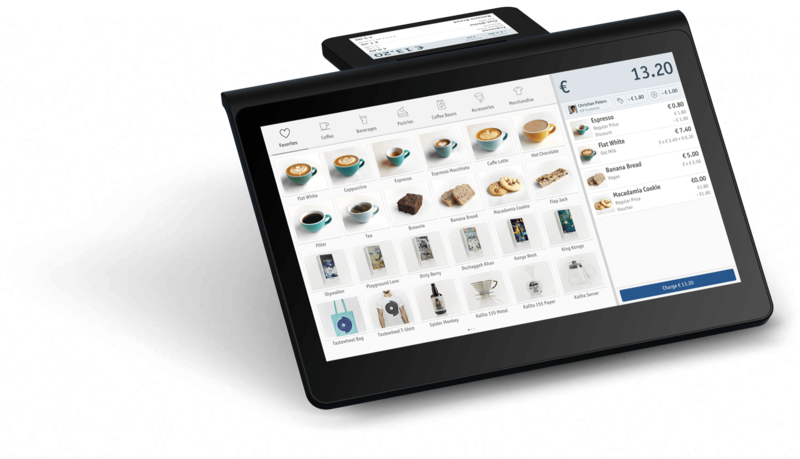 The best POS software pre-installed on a dedicated, stunning device. 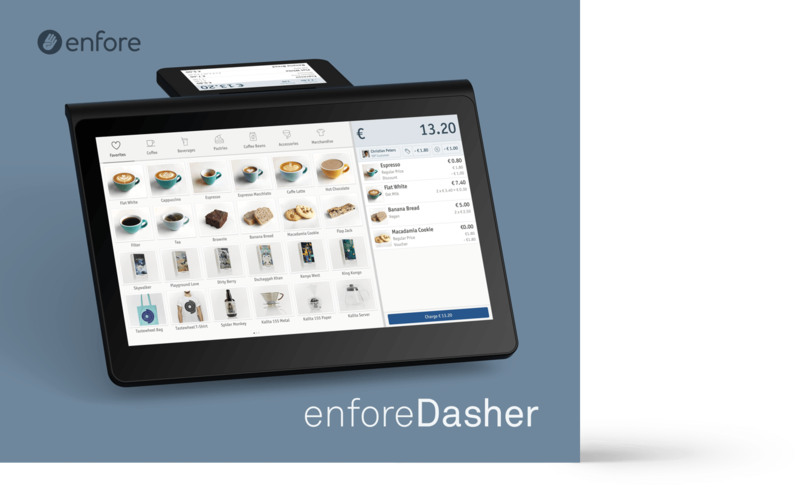 Install enforePOS on your iPad and keep using your existing peripheral devices, like receipt printer, barcode scanner and cash drawer. Use the most advanced POS software in your office or shop on your Mac or Windows PC. A stunningly beautiful and sturdy all-in-one POS terminal with 14" Full HD touchscreen, customer display, high-speed printer, 3D barcode scanner, WiFi Hotspot, Ethernet, HDMI, 4 USB ports and much more. 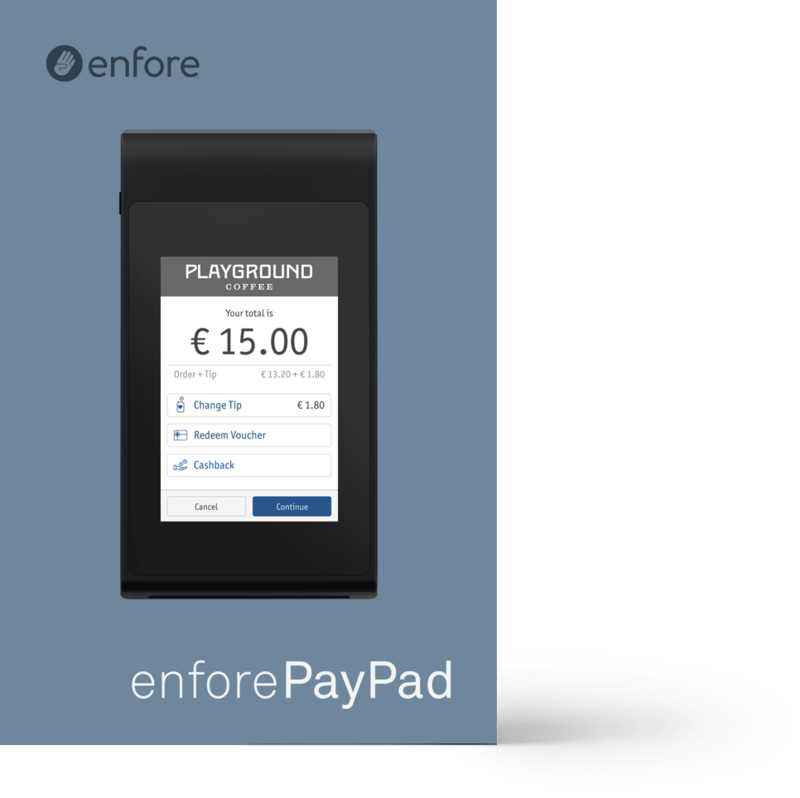 A amazing WiFi enabled payment device and an ideal companion to enforeDasher and any iOS, macOS, Windows10 device running enforePOS.